Most people who have a stainless steel sink know it takes a certain amount of constant care to keep the sink looking decent. 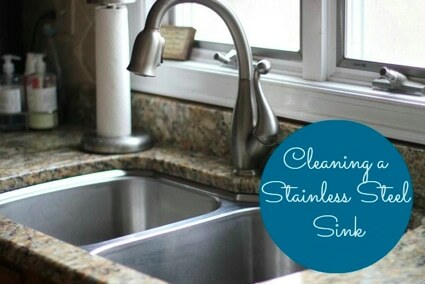 A stainless steel sink can look dull and dingy from just hard water. Melanie at Sunlit Spaces lets us all in on easy ways to bring back the sparkle that your sink had when it was new. She gives tips and a number of things that you can try to keep your stainless steel sink looking like new – without using any toxic chemicals.